We go to the Isle of Man on Friday for the TT Races, my ABC Wednesday contribution is a little late as we have been so busy, but as with all of my contributions for this round I wanted to share something that had been a success here in the Nesbitt household, cheap and something I would cook again. 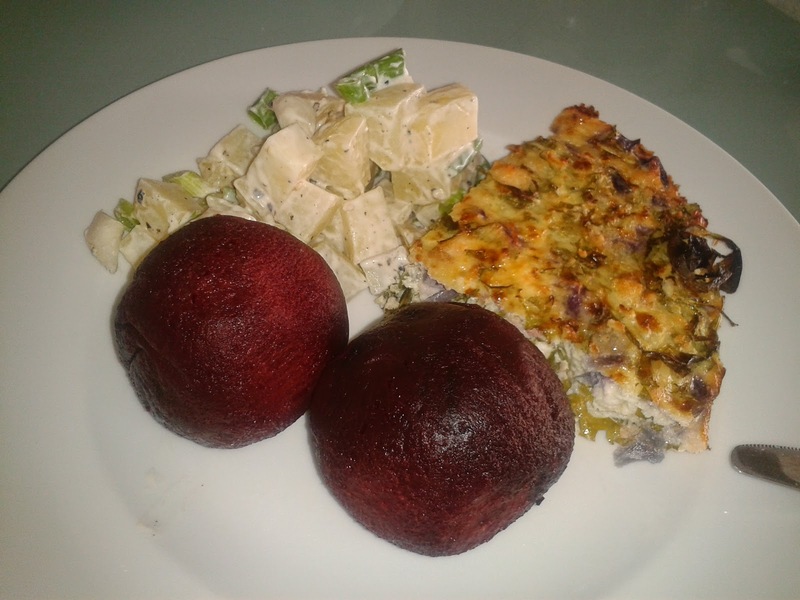 Planning meals is an essential part of my losing weight, together with regular exercise and a healthier lifestyle. I walk the dogs every day, attend a Zumba fitness class once a week as well as a total toning session. This is a manageable activity programme for me. I enjoy the beach walk - every morning, it sets me up for the day. A group of us are there, everyday and whilst the dogs play, run and exercise together, we pass the time chatting and walking - discussing everything from The Archers, Menus, the price of potato crisps in Asda and what jobs are on the list today. I also enjoy my Zumba and Toning classes - simply because the instructor is an inspiration - hilarious yet the results happen. Often I plan my daily meals whilst out walking but there are times when I find myself unprepared or at a loose end as what to cook for dinner. These are dangerous times in a diet as becausesuch things happen when I am hungry it is so easy to reach for something which may be instant and filling but not a good choice for the diet. I have got a jacket potato down to 10 minutes in a microwave - 10 minutes is a good time to chop up a salad and get a decent filling together. Whilst this suits me Jon prefers a more substantial choice and that is where Bachelor's pasta Sauces come in! I can get a Bolognese from start to finish in a matter of 15 minutes. Basically I boil 3/4pt of water and pour over the sauce mix. Microwave for 15 mins. Meanwhils in a pan frylight onions, mince (optional) peppers, mushrooms, chopped celery and any other veg floating around. When pasta is cooked stir into pan and add lots more chopped tomato and spring onion. It makes TONS and is TERRIFIC so so so TASTY! Now frylight have a garlic seasoned spray I often spray some thinly sliced French bread with thefrylight and pop into the oven for a couple of minutes - sprinkle parmesan on for a kick! Sitting here writing this has made me so hungry - this is an ideal supper for tonight - there will be enough for tomorrow night and it is an ideal way to use up anything lurking in the fridge! 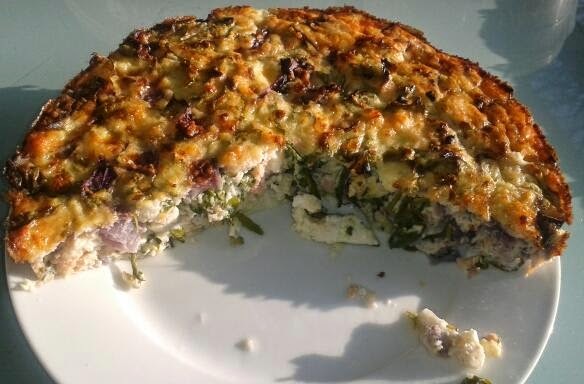 S is for Smoked Salmon Quiche. I know I keep going on about quiches without pastry but really they are just SENSATIONAL! A couple of nights ago we had a change of plan when a planned BBQ had to be abandoned due to a change in the weather. (Surprise surprise!) A quick rummage through the freezer brought about a packet of smoked salmon trimmings which I defrosted and chopped up, together with half a red onion and a sizeable amount of rocket. 4 eggs were beaten and a carton of fat free cottage cheese was stirred in. All ingredients were given a final stir then popped into a flan dish which I had sprayed with frylight. I sprinkled some parmesan on top and popped into the oven at 200 for 20 minutes. Awesomeness! Even Jon commented how good it was! My S contribution for ABC Wednesday, a journey I am enjoying! For more contributions follow the link in my sidebar. R is for Rice Pudding - My version. 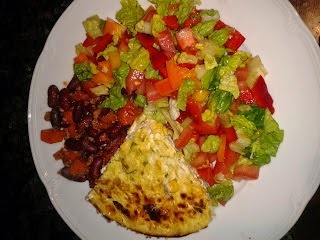 One thing which never ceases to amaze me at Slimming World is the originality and strangeness of some of the recipes. I wonder who on earth puts some of the ingredients together? 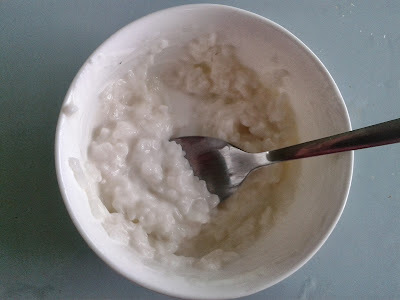 I was experimenting with a Rice Pudding recipe - using cream soda. One of the gals had tried it out and thought it was too sweet and sickly - so I tried my own take on it, but using lemonade instead of cream soda. I didn't have any pudding rice so tried long grain rice. Basically I put some rice into a microwave dish and topped up with a can of diet lemonade. Microwaved on full power for 10 minutes and checked to see the lemonade had not dried up. I added another can and microwaved for a further 10 minutes then left to stand for 10 minutes then stirred in a tablespoon of crème fraiche. Tasted absolutely gorgeous. Comfort food in a matter of minutes. Tip - use a large microwave dish as the lemonade rises a lot! This is my T contribution for ABC Wednesday - I am really enjoying this round. Basically mix together the cheese and eggs then add any vegetables of choice. If using frozen veg make sure it is defrosted and drained to remove the excess water. Add any other ingredients ie lean meat, chicken, tuna then put mixture into a flan dish that has been sprayed with frylight. Cook until "set" and golden brown. I LOVE quiche at room temperature, definitely not straight from the oven, however when desperately hungry I can manage it when hot. Serve with salad. Trust me you will never go back to faffing on with any baking blind malarkey! This is my Q in my ABC food adventure. I knew right from the beginning I would introduce the lovely Quiche for Q!